Man oh man, what a month! There’s still one birthday and one party to go, but the light at the end of the tunnel that is birthday season is getting brighter, much brighter! A huge huge thank you to all my guest hosts this past month – Angie, Crystal, Cassie, Linden & Caitlin. I should also give a shout out to Rachael from Sew Today Clean Tomorrow, who did a fabulous job of guest hosting the #saturdaynightcraftalong over on Instagram this past weekend. Thank you, all of you, for helping buy me some headspace this past crazy month! @sameliasmum joined us via Instagram, doing some piecing while catching up on her tv watching. AJ made fabulous progress on her ripple which is looking a-MAY-zing. Hahaha, well, let’s not speak too soon 😉 I really want to catch up soon, but there’s only so many hours in the day. 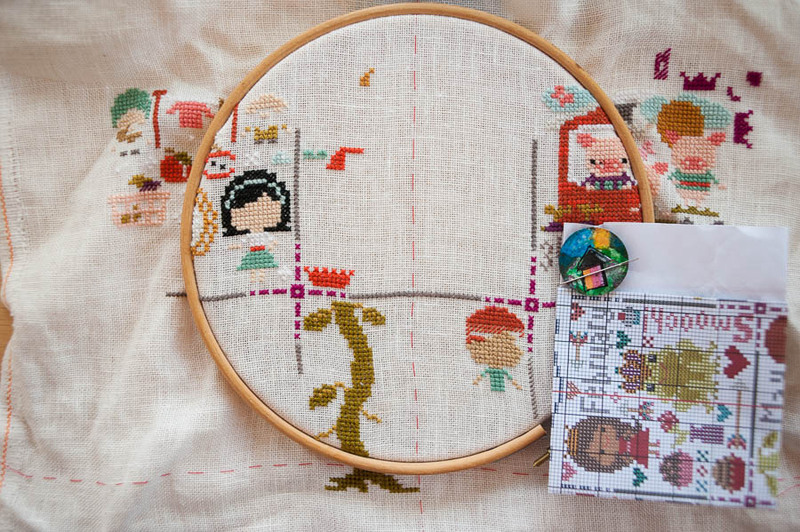 That cross stitch looks so sweet!